TX Card from lighting director Dave Bushell. 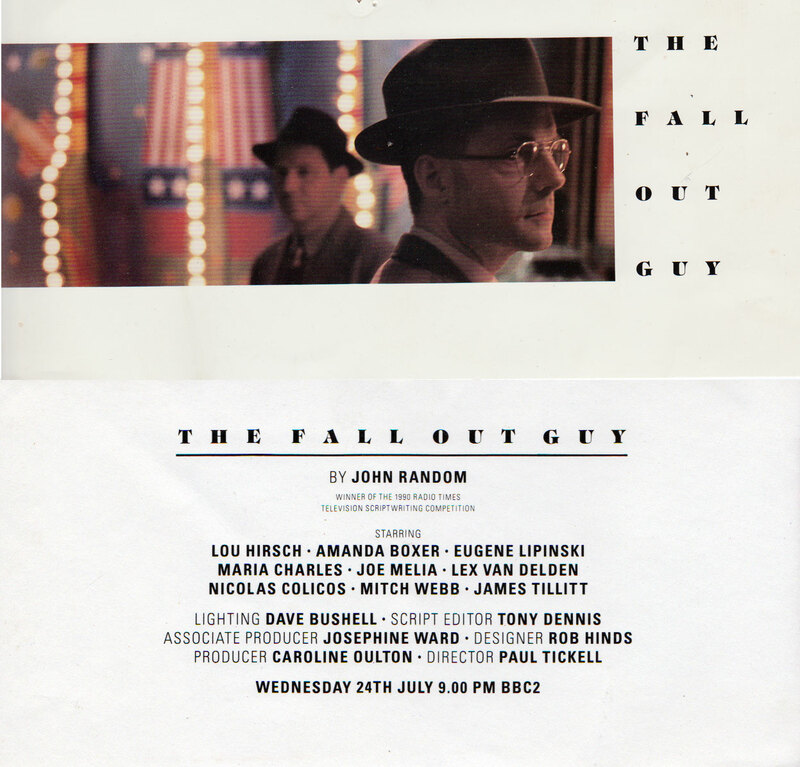 “The Fall Out Guy’ was a spy thriller, produced at Pebble Mill by Caroline Oulton and transmitted in 1991. It was a studio drama recorded in Studio A. The script was written by John Random, with Tony Dennis as script editor. It was directed by Phil Tickell, with Josephine Ward as production associate and Rob Hinds the designer. The play featured Lou Hirsch, Amanda Boxer, Eugene Lipinski, Maria Charles, Joe Melia, Lex Van Delden, Nicolas Colicos, Mitch Webb, and James Tillitt. What a great show to work on. We had to create a scene of a car driving through a desert. Dave came up with the idea of mounting a 5K on a mole crane to move the sun and the car was gently moved, to create a very convincing effect. Watching Dave at work on this show inspired my ambitions to become a Lighting Director.